In the largest deal of the quarter and year, Nexstar Media Group announced on Dec. 3 that it would acquire all of Tribune Media’s assets for $46.50 per share. Kagan estimates the broadcast assets to be worth $3.51 billion. 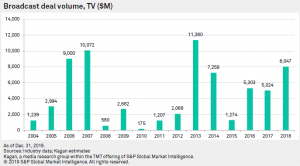 U.S. broadcast station mergers and acquisitions (M&A) volume reached $4.31 billion in the fourth quarter of 2018, as tracked by Kagan, a media research group within S&P Global Market Intelligence. 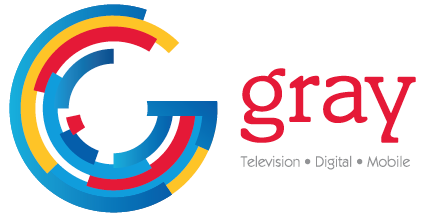 Ranking second in deal value for the year was the $3.44 billion merger of Gray Television Inc. and Raycom Media Inc. from the second quarter. The top radio deal of the fourth quarter was the Hubbard Radio LLC’s $88.0 million purchase of Alpha Media LLC. 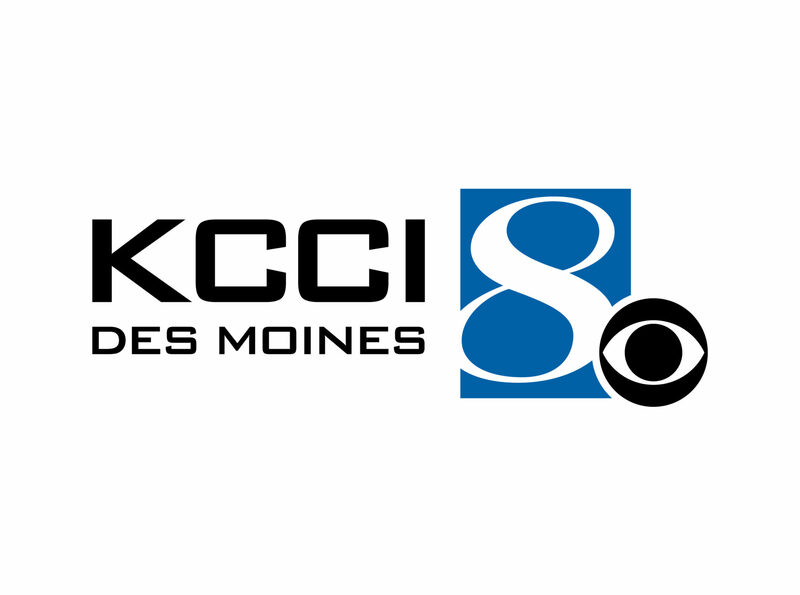 It also ranked as the second-largest radio deal of 2018, topped only by Bonneville International Corp.’s $141.0 million purchase of eight radio stations from Entercom Communications Corp. in August. In total, 2018 closed with an $8.87 billion deal volume for U.S. broadcast station M&A, representing an increase of 8% compared to 2017. On Oct. 29, Cordillera Communications announced the sale of all but one of its TV stations to E.W. Scripps Co. for $521.0 million. 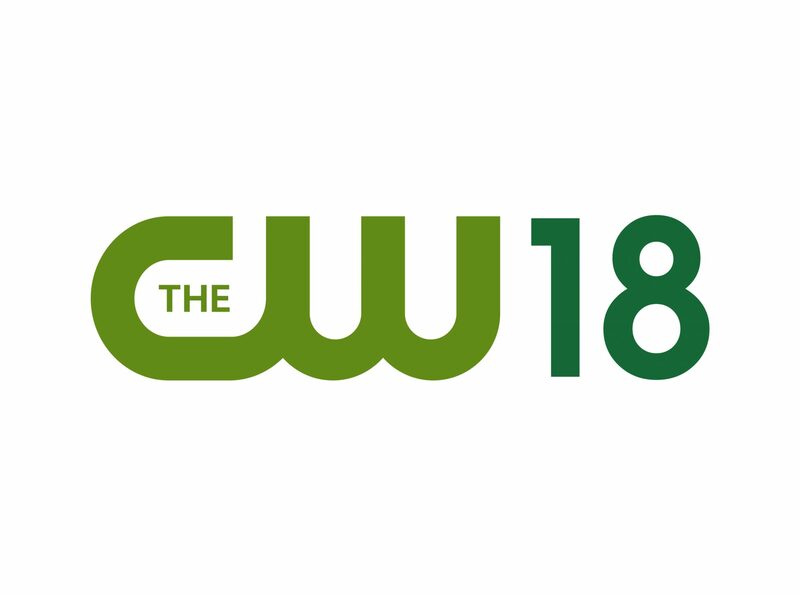 In addition to 15 main programming stations, the deal comes with eight low-power translators. The only Cordillera station not sold to E. W. Scripps was NBC affiliate KVOA in Tucson, Ariz., as Scripps already owns the ABC and CW affiliates in that market. Instead, on Nov. 9, Cordillera filed the sale of its last station to Quincy Media for $70.0 million. Earlier, on Oct. 31 Quincy Media also agreed to buy WSIL-TV, the ABC affiliate in the Paducah, Ky.-Cape Girardeau, Mo.-Harrisburg-Mt. Vernon, Ill. market, coming with a full-power and a low-power translator, for a total of $24.5 million. On Dec. 4, following the Cordillera purchase, E.W. Scripps also agreed to buy independent TV station WHDT in the West Palm Beach-Ft. Pierce, Fla., market from Marksteiner AG Inc. for $25.0 million.